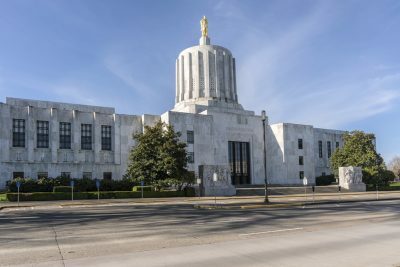 Salem, Oregon — On Tuesday night, residents of Oregon received an alert on their phones about a “civil emergency” which caused a lot of panic in the state. Police were getting lots of calls at the same time with panicked residents ready to ask questions. The text read “Civil Emergency in this area until 11:28 PM PDT Prepare for Action OEM,1,OR” which does not state what the emergency is exactly. People went straight to Facebook and OEM’s website to fill them up with questions. After having received one too many calls about the emergency text, the Marion County Sheriff’s Department went to Twitter and posted a tweet claiming that the emergency texts were meant to alert people about the “water issue in Salem.” OEM, Office of Emergency Management in Oregon, explained that the emergency alert was supposed to contain a link, but it didn’t seem to work on the phones. It did, however, deliver the message correctly on televisions. OEM stated they are working to figure out what went wrong with the data. Later on, they figured out that a mistake was made on their behalf. They are working hard to make sure this does not happen again and have apologized to the public. The real emergency was a warning to avoid drinking tap water. Even boiling the water would not make it safe to drink, but might actually make it more toxic. Cyanotoxins in the water can cause different types of discomfort, and may even harm your kidney or liver. Even animals can be harmed by drinking this water. This actually came from the water in Detroit Lake, which is the water source of Salem. A few days ago, authorities found that the lake contained toxic blue-green algae. The city will have an update on the water situation tomorrow. People are outraged by the city’s mistake. Even though a misleading text caused lots of panic and frustration in the state of Oregon last night, everyone is okay and is updated on the situation. The city will continue monitoring the toxins in the water to make sure it is safe before letting people drink tap water.